Kyoshi has taken the principle’s learned throughout his martial arts training and created The Principles of Defense (P.O. D’s) workshop series which focuses on kids bullying workshops, women’s self-defense workshops and Compliance control workshops. 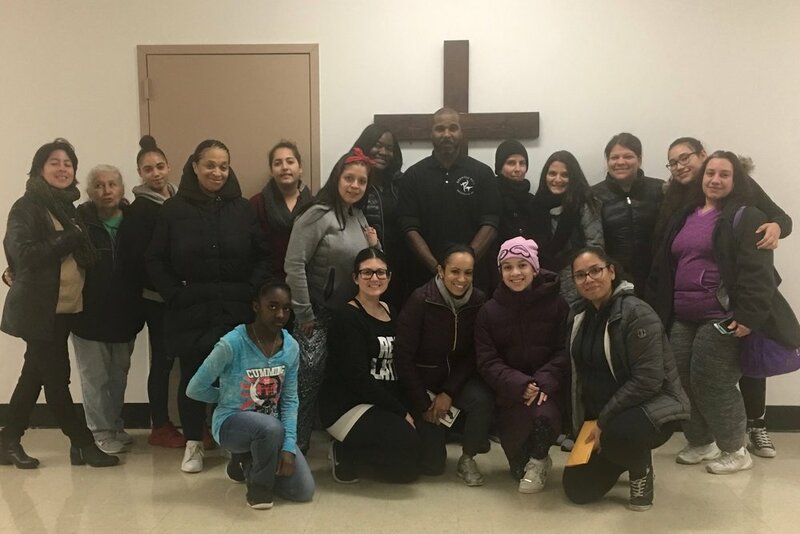 He has facilitated these workshops with organizations such as; The girl scouts, Triomph Gym, various Sororities’ Fraternities and Guttman College in Manhattan New York. These P.O.D.’S capture the fundamentals of the martial arts through drills and awareness. This class is devoted to creating (with the student) scenarios that develop the awareness, strength and proper reaction time needed to neutralize physical and mental threats. In this class we focus on your personal fears. We then access these fears with the right tactics and principles. We focus on quick escapes and practical methods of evasion, and neutralization. This workshop was facilitated at Queen of the Rosary Catholic school for the parents through the parent association. These workshops can be facilitated at the dojo, or held at any school dojo, after school program, or community center. This workshop was facilitated in a evening program, to help young black men deal with the rising issue of stop and frisk and police brutality.